Stanford, Ca-Saturday, Sept. 3, 2010: A.J. Tarpley causes a San Jose State fumble. 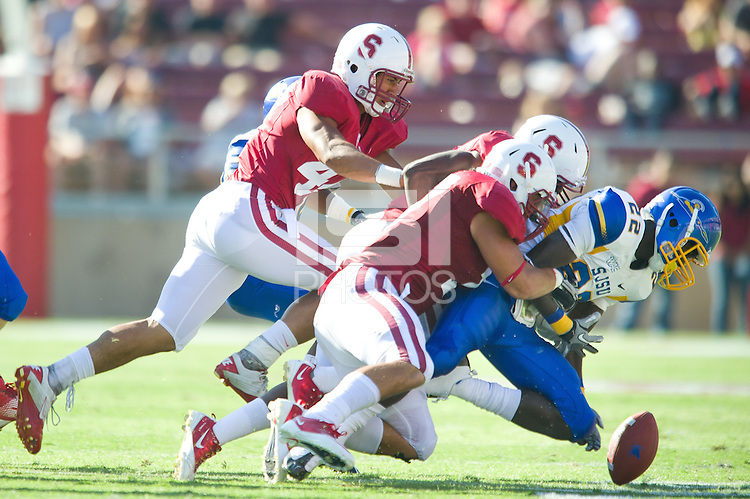 Stanford defeated San Jose State 57-3 at Stanford Stadium.